What wonderful art. 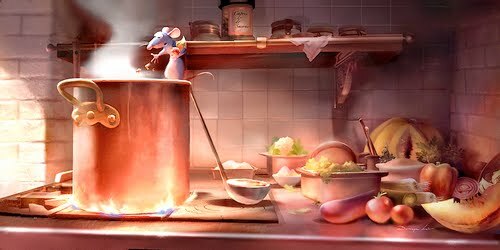 The art of ratatouille will make you wanna watch the movie ten times over and totally fall in love with the characters all over again. Remy, Emile his brother, Linguini and the wonderful Collete, Skinner the villainous chef, all designed the contrast each other so beautifully. The interiors of a sewage systemn (underground Paris) so wonderfully contrasts the world above. Paris is shown as magnificent as in travel books and for real; so much, that it shows you how Remy dreams of living in Gusteau's kitchen without threatening his life. 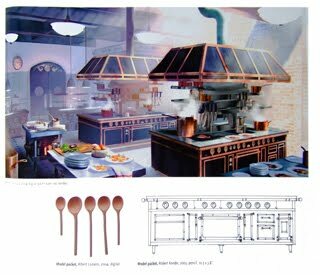 Designs which express the complexity of the character and the conflicts he faces are depicted so clearly and beautifully, keeping in mind that the audience should relate to this rat, and not get disgusted by the idea of it being in a kitchen of a restaurant. Remy has to hide the one thing he loves - cooking. It's amazing how similar cooking is to design. The tastes, the smells, colors and textures are like colors and compositions. It made me wanna make movies, and start working on the process of creating the script, story and the visuals that would inspire me to make the rest of it. Brad bird has respectfully credited Jan Pinkava as co-director, who thought of the premise while he was cooking in the kitchen with his wife. 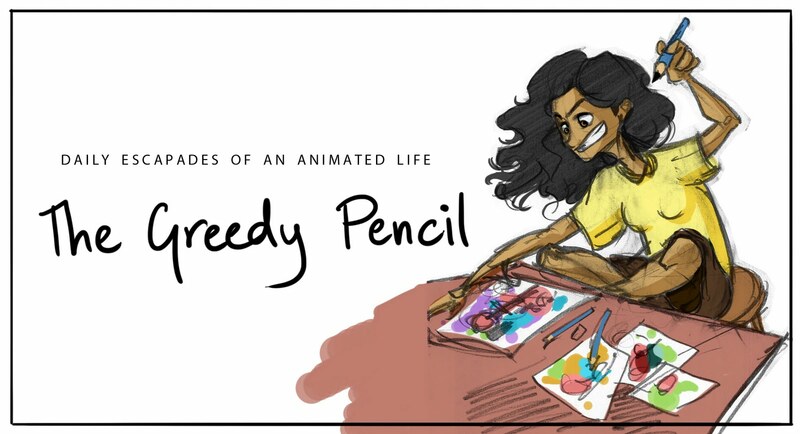 These artists I worship, for creating a masterpiece of animation, something the world will love and cherish. Mesmerizing, magnificent, insightful and delicious! 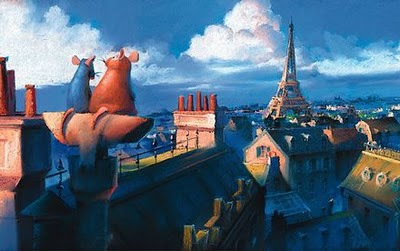 The art of Rataouille is just as good as the movie itself. Good review! I told my sister to watch this movie with the kids but she didn’t listen to me at all. I have shared this post with her so that she does watch this movie with them. Also, I have found some nice shows by Andy Yeatman for my niece and nephew.